Lightweight and easy to lift in and out of the bath. 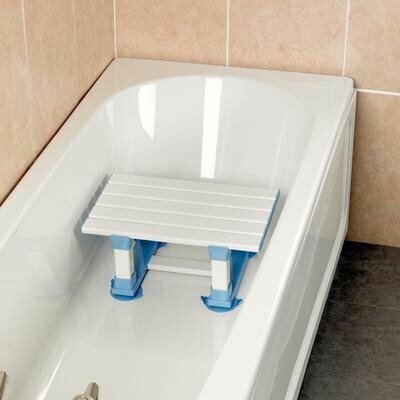 -- Please Select --Height - 6"Height - 8"
Lightweight and easy to lift in and out of the bath. The seat features large, secure, slip resistant sucket feet and the seats slatted design allows for good water drainage.